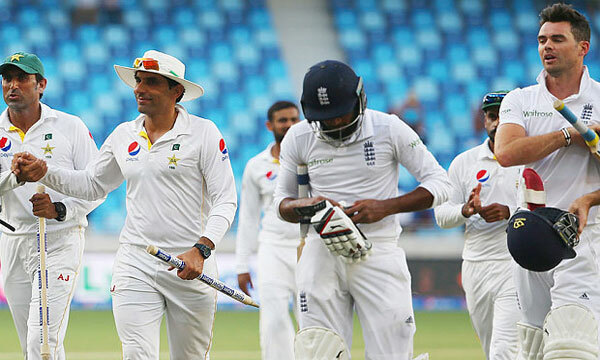 Pakistan Sunday named a 17-man squad for the four-match Test series in England starting next month. A team for the following five one-day internationals and a Twenty20 will be announced later. Squad: Misbah-ul-Haq (captain), Mohammad Hafeez (subject to fitness), Shan Masood, Sami Aslam, Azhar Ali, Younis Khan, Asad Shafiq, Iftikhar Ahmed, Sarfraz Ahmed, Mohammad Rizwan, Yasir Shah, Zulfiqar Babar, Mohammad Amir, Wahab Riaz, Rahat Ali, Sohail Khan, Imran Khan.